I'm back to making cards for family and friends. This one is CASED. 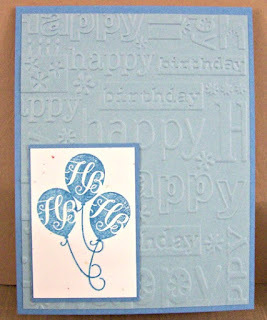 Changed up colors and stamps. I got the idea from a Pinterest board, should have written down the lady's name. Also, shouldn't get in such a hurry. 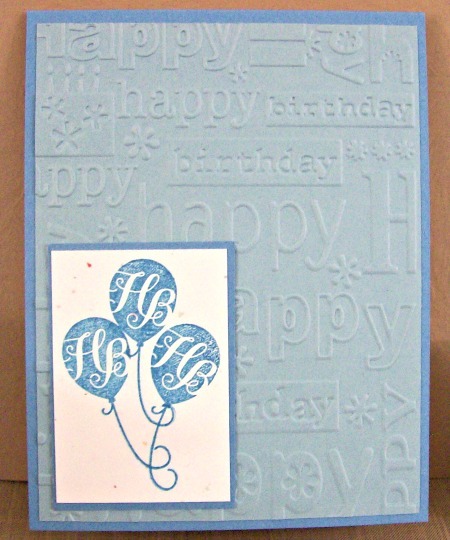 Stampin' Up Marina Mist, Soft Sky, Age Awareness Stamp Set, Cuttlebug Happy Birthday embossing folder. This is lovely - hope you are doing well.